We were recently blessed with a series of literature units, and we worked our way through The Lion, the Witch, and the Wardrobe by C.S. Lewis. When I learned of an upcoming review from YWAM Publishing – and that one of the books being offered was Christian Heroes – C.S. 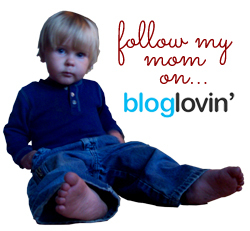 Lewis – I knew this would be a perfect followup, so I eagerly requested the book. So for the past several weeks, the boys and I have been reading this biography as our read-aloud book. In addition to the book, we received a Digital Unit Study to go along with it. Youth with a Mission was founded in 1960 and has three major goals, all wrapped up in the base idea of sharing Jesus with the world. First, evangelism. Sharing Christ is the main thing we as Christians are commanded by God to do, and this is the first stated goal of YWAM. They have over 17,000 volunteers and staff all over the world proclaiming the good news of the Gospel to people in multiple countries. They pass out Bibles, and they follow up with their converts, making sure they (the converts) are able to find fellowship with other believers. Where none exists, they help the new Christians develop one. Second, training. The theory of multiplication rather than addition is a real thing, and YWAM understands that new Christians need to be trained in order to then reach even more people with the Gospel. Finally, Mercy Ministry. This is the arm of the company that takes emergency and physical aid to places where it’s needed most. 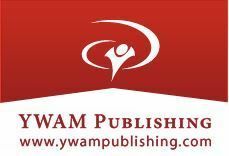 YWAM Publishing creates books that help meet the goals of the bigger organization (evangelism, training, and mercy ministries). The books showcase these qualities in their content, and by purchasing from YWAM, you’re helping to fund missions work all over the world. They have 150 of their own titles and are authorized distributors of over 2,000 additional titles. This biography, penned by Janet and Geoff Benge, tells the story of The Chronicles of Narnia and Mere Christianity author C.S. Lewis starting with an exchange with his nanny when he was six years old and going all the way through his death in 1963. We learn in the very first sentence that he preferred to be called Jack, and this is how he’s referred to throughout the entire book. The biography is told from the third person omniscient point of view, meaning that we don’t see things only from “Jack’s” perspective. Events are described from one looking at his life as an outsider rather than a participant. This gave the biography a very rich background upon which to weave the story of C.S. Lewis, who had a very fascinating life. One of our favorite chapters (and by “favorite,” I mean it was fascinating to us, not that the content was something that should be “favorited”) was the one that described Lewis’s time in WWI. He spent a month (after basic training) leading a group in England before he was shipped off to France. The chapter ends with him being hit by friendly fire and everything going black for him. Despite the fact that we were in the habit of reading only one chapter at a time, we felt the need to keep going after that one to find out what happened next! Writing a newspaper article, poem, or song based on a specific event in the biography. Creating arts and crafts based on the book (a family crest, a comic strip of events, mobiles, dioramas, etc). Using a tape recorder and having one child act as interviewer and the other as Lewis. Record a conversation. Writing a report using one of the many essay questions provided in the study guide. There is so much available information and ideas in the study guide that turning each of these biographies (there are several; C.S. 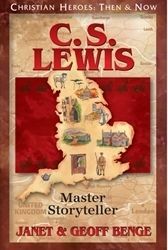 Lewis: Master Storyteller is just one) into a full-blown unity study would be fairly easy and provide a very rich history curriculum for students. There’s really nothing we didn’t like about our experience with this book. The biography was well written, the study guide was an amazing addition, and we would happily use more of these. YWAM is a winner! Members of the Schoolhouse Review Crew are reviewing lots of biographies from YWAM this week. 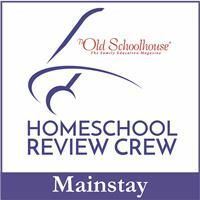 Make sure to click over to the Crew blog to read more reviews!